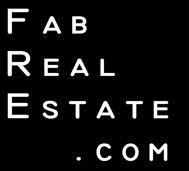 Fab Real Estate Blog: What, Do I Amuse You? What, Do I Amuse You? Last night at our office holiday party, I was given the "Most Amusing Agent of 2007" award. I think it was a compliment. At least a back-handed compliment. Though, I'm really not sure. Don, take is as a compliment. Hey, you made enough of an impression on others to get an award. Colleen - I've created lots of silly "inside jokes" with the staff. We have to laugh in this business...otherwise we'll end up with ulcers. People just don't know what to do when you have a great personality and manage to be bright too! Keep it up...have a great holiday! Paige - you think I'm bright and I have a great personality? I think you're my new best friend! You amuse me. You have always amused me. Lately I've been thinking "where the heck is that Don F-G... I need some amusement." Congrats on being named most amusing. I also thought of you watchiing a news story about adoption. Hi Maureen - Glad to know I'm here for your amusement! It was actually quite funny to get the award - they made a big deal out of it, and we all had a good laugh. Keep watching those adoption stories and thinking of me...spread the word about adoption. There's a lot of kids out there. Hi Catherine - At least I know they like me, right? We have to have some fun in this business! Don, what did you expect from the guy who bought a house with the wrong address number, have his garage door fall on his car and what was it? your new driveway caved in? ....who needs tv when you have fabulous Don to entertain you!!! There really is life in conneticut? Merry Christmas!!! I'm really not an amusing guy...it's just the way I counteract my "Terry Withdrawal". You figured it out!